I enjoy gardening and flower gardening, it’s something my late grandmother instilled in me at a very young age. I love, growing from seeds, saplings and more, I even shop garden centers for discounted plants that they are about to greatly reduce or toss out, because I often am able to save them and have them flourish. Now prior to the last 5 years we had lived in our home 2 ½ years before we had to relocate. 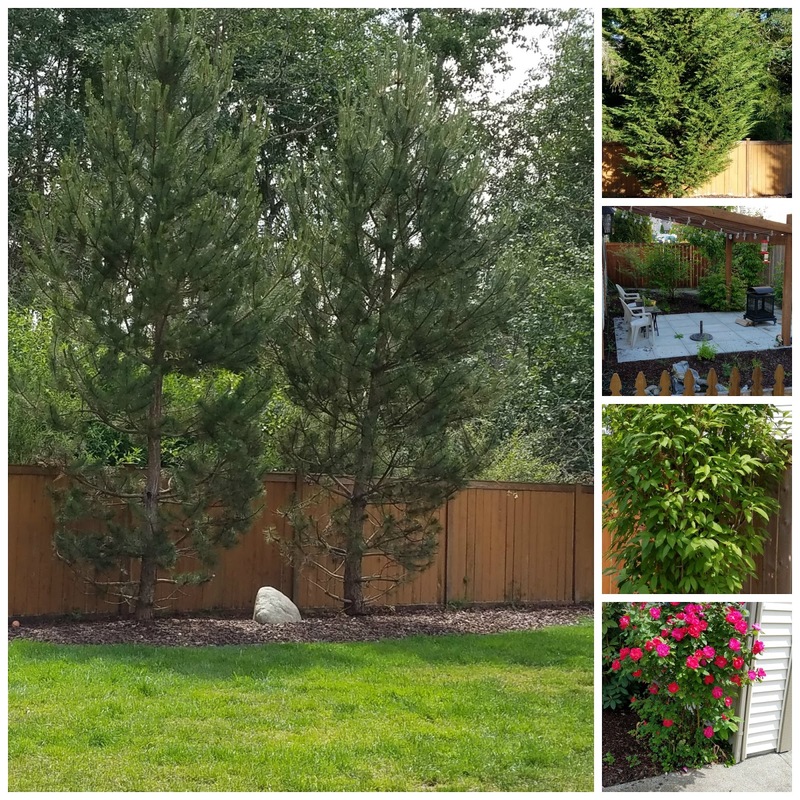 In that 2 ½ years I had set up in a yard of nearly nothing a beautiful flower garden, lovely Evergreens, a couple of Pines, a Magnolia, several Hydrangeas, 7 Roses and more, but once we had to relocate we had to rent our home. Our first renters, were awesome, our last set, it was a disaster, home was trashed, lawns were dead, whole trees missing out of our yard, tons of dead plants, bushes and more, so needless to say cleanup was a heck of a task, but unfortunately we moved back in Winter so I was unable to do any pruning in fear I damage what few plants, trees and bushes that were left, since it was winter and we live in a snow state. 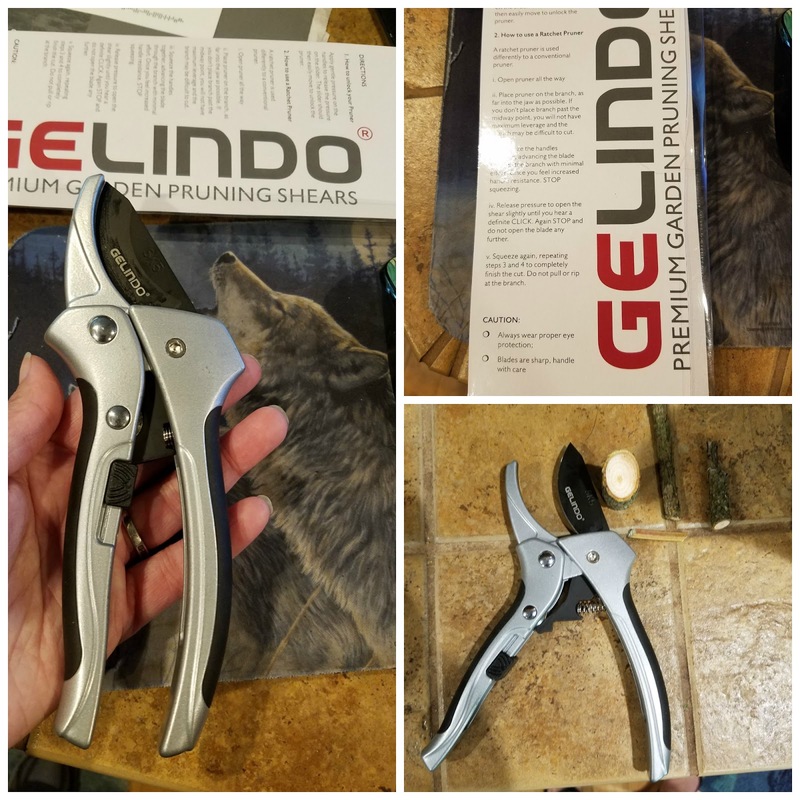 So when I was contacted by Gelindo about trying out their Pruning Shears I was excited, after all I had tons of cleanup and pruning to do, but I also remembered how many pairs of shears I had gone through over the years, so I refused to get my hopes up. Some shears I’ve had and even currently have, even some of the pricy ones I’ve had are tough to handle, don’t cut well, smash the stems or branches hurt the hand while trying to prune even the smaller stuff, so they often end up being a big fail! Boo! So as you may guess I really wasn’t expecting a whole lot from these. Well… I’m happy I was wrong in doubting, these have been so impressive that even my husband likes them and even he was impressed how easily and smoothly these prune! Now, honestly these Gelindo Pruning Shears did concern me as they are a bit heavier than some I’ve owned or do own, but once in use, I didn’t even notice the weight, as they felt very balanced in the hand. Cut beautifully, smoothly and fairly effortlessly even some of the bigger stuff as seen in my pictures. They have a non-stick blade and even the sap from the Pines came off fairly easily. I found I was even able to use these in my left hand and I had surgery in my left hand years ago, so I had arthritis in the hand and less strength in it, yet I was still easily able to use. I really like the lock on these, as it slides into place easily and locks securely. It would be great to see Gelinido offer these in a longer handled version, so it would be easier to access taller branches. - High quality carbon SK-5 steel blade that doesn't need constant sharpening. - Ratchet design with a spring-loaded mechanism for effortless cutting. - Non-stick Teflon coating that prevents rust and keeps blade sap-free. - Safety lock that can be disengaged with a single hand. - Thermoplastic rubber handles for supreme comfort. My grandmother had a garden too and would grow and can tomatoes. I didn't get her green thumb though. I wish I had more of a green thumb. I don't quite have a brown thumb, because I can grow somethings. But I just wish I had more time to invest in my yard.